You are at right place if you are looking for Master Of Project Academy review. 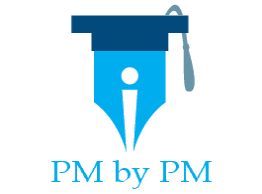 I have written this post after looking at various project management courses offered by the company. Master Of Project Academy (MOPA) was established in the year 2012. It was founded by Resit Gulec. Resit started the company by providing an online PMP course on Udemy. Compared to other project management training providers, MOPA is relatively a new entrant. But, it has come up very well in the last few years. MOPA provides many certification courses including certifications from Project Management Institute’s (PMI). Its PMP course is very popular among certification aspirants. Apart from the online PMP course, it offers courses on PMI-ACP and CAPM. Since its inception, the company has also launched many non-PM online certification courses. These include CISCO, Six Sigma, and few others. The company claims that it has helped 50,000 professionals in achieving the certifications. Do you know what the biggest reason of success in the PMP exam? Like with any other exam, it is practice and more practice. A good PMP simulator gives you the right platform to practice mock questions. MOPA is a late entrant in the PMP simulator field. It launched its simulator only in early 2019. It is a very new product. At the surface the simulator looks good. It has 7 full length mock tests containing 1400 sample PMP exam questions. But it is very steeply priced – much higher than the competition. It lacks some of the essential features required in a simulation software. If you are looking for a good simulator, you should read my side-by-side comparison of leading PMP simulation tests. It will help you find the best PMP simulator. MOPA started their operations with the online PMP training. It is the most mature product from their stable. In 2019, they also launched an instructor led live online training. On the downside, MOPA is not a PMI’s Registerd Education Provider (REP). But both training programs can be used to satisfy PMI’s 35 contact hours requirement to apply for the PMP exam. MOPA’s online PMP course has decent quality. It is very reasonably priced. In fact, it is one of the cheapest PMP program available. There are three options to take subscription of this course – monthly, annual, and lifetime. If you are looking for an affordable course, MOPA’s online PMP offering would be extremely suitable for you. However, if you want to look at other options, then you read look my article for the head-to-head comparison of top PMP programs. In case you are seeking a live online course, then you should read my comparison post on instructor led live PMP programs. MOPA offers CAPM training only as an online program. Just like its PMP course, you have three different options to buy CAPM online course – monthly, annual, and lifetime. CAPM online course is as good as its PMP offering. Over the years many students have successfully passed the test by taking MOPA’s CAPM training course. Before investing into CAPM training, you should look into my detailed review and comparison article on CAPM Online Training. It will help you to find the best course for your studies. MOPA currently does not offer CAPM practice tests separately. But to crack the exam, you will need to invest in a good online CAPM simulator. The company offers PMI-ACP online exam preparation training. Just like its other online offerings, MOPA’s PMI-ACP training has three pricing tiers – monthly, annual, and lifetime. I have not done course review of PMI-ACP training of MOPA. Considering the quality of their other courses, I think their PMI_ACP courses should also be good. If you are looking to pursue PMI-ACP certification, you should consider investing in it. It is competitively priced. You can click on the following button to get 20% coupon code. If you are looking to do PMI-ACP certification, you should also look at my review article comparing top PMI-ACP test simulators. This article will help you in choosing the best simulation software for your studies. The training courses offered by MOPA are very reasonably priced and offer very good value for your money. You can look at my other review and comparison articles to check how it course fare against other leading programs. I can certainly recommend it courses for your exam prep. Good Customer Service & Support – The support is available through through support center. The questions are promptly answered by the support staff. Decent Technology Platform – The Company uses latest technology for its eLearning programs. It provides a modern Learning Management System (LMS) that can be used to track progress of your courses. The quality of videos is very good. Knowledgeable Subject Matter Experts – The company employs leading experts for course development and maintenance. They make the dry and boring subject very easy to understand. The videos have real life project management examples. Good Quality – The Company gives high importance quality of the courses. All their courses have been properly reviewed and refined over the years. Good Study Aids – The Company offer various study aids for the exam prep. They are useful for not only passing the exams but also for understanding finer aspects of project management. Online Simulator Seems To Be Expensive – Company’s training courses are very competitively priced. In fact, their online programs are priced much lower than their competition. But some people feel that their exam simulator has a very high price. Yes, it is a bit expensive but it is backed by excellent customer service. Company is not an PMI REP – The company has not taken PMI REP status. It brings credibility to courses. But the courses can be used for getting contact hours and to apply to PMI certification exams. Which certification test are you preparing for? Are you planning to buy a Master Of Project Academy course? Which one do you think is their top advantage? Do you think there are some disadvantages also?